Do you know the factors that affect gold prices in India? Other than basic jewellery demand, where India is the largest consumer, there are two other factors. Hedge: Other than for its ornamental purpose (globally jewellery demand accounts for 70-75% of overall gold demand), gold has traditionally been used as an investment asset to protect against political and economic uncertainty. This is because gold is a metal found in pure form and the value of the metal itself does not change over the years, so it can be used to protect against any depreciation in other financial assets which happens at times of uncertainty. This is why historically gold has been used as currency and even though gold is no longer used as a peg against US dollar, governments still maintain high reserves in the sovereign treasuries. 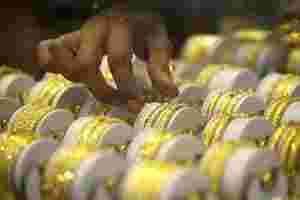 To that extent, international prices of gold are affected by economic affairs. For example, if global economic growth is showing an uptrend and financial markets are doing well, demand for gold as an investment (or hedge) will be low as other assets are more in demand. Investment demand for gold in good times is curbed by the fact that the asset neither gives interest nor dividend income and its appeal is just as a store of value. Dollar dynamics: Moreover, gold is used as a hedge against movement in the US dollar (acclaimed as the global currency for trade), which means typically gold prices move inversely to change in strength or value of dollar. Traders in this commodity consider this aspect seriously while taking positions in gold. Exchange-traded funds (ETFs): Globally, demand for ETFs has increased. Typically, funds are required to maintain the value of ETFs sold in the form of physical gold, driving up overall demand. All commodities are generally traded in US dollars. According to the latest World Gold Council report for 2011, India is the largest consumer of gold; in 2011 we consumed (jewellery and investment demand) around 933 tonnes of gold compared with global consumption of 4,067 tonnes. However, out of a supply of 1,037 tonnes available in India in 2011, we imported 969 tonnes. Given that imported gold is valued in dollars and then later converted to a rupee value for domestic consumption, the rupee-dollar exchange rate is important in determining domestic gold prices. That is why even though international gold prices have corrected in the last two-three months, domestic gold prices have increased. This is because the rupee has depreciated around 8% against the dollar since February this year. That means Indian consumers have to pay roughly that much more (other than duties and taxes imposed locally) to buy gold. If you were to sell the same 10g of gold you buy (in India) in the US, the price you get will be the international price which is lower than the Indian price. As of now, experts feel that for domestic prices, the rupee-dollar equation will be the greater determinant.